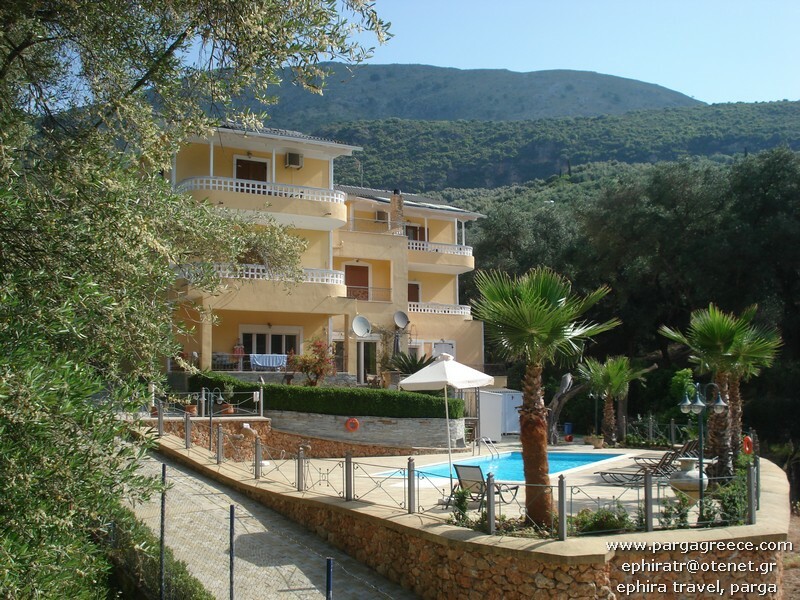 N0 13-STUDIOS & FAMILY APARTMENTS WITH SWIMMING POOL -GARDENS-QUIET AREA (BEST VALUE)-PARGA. 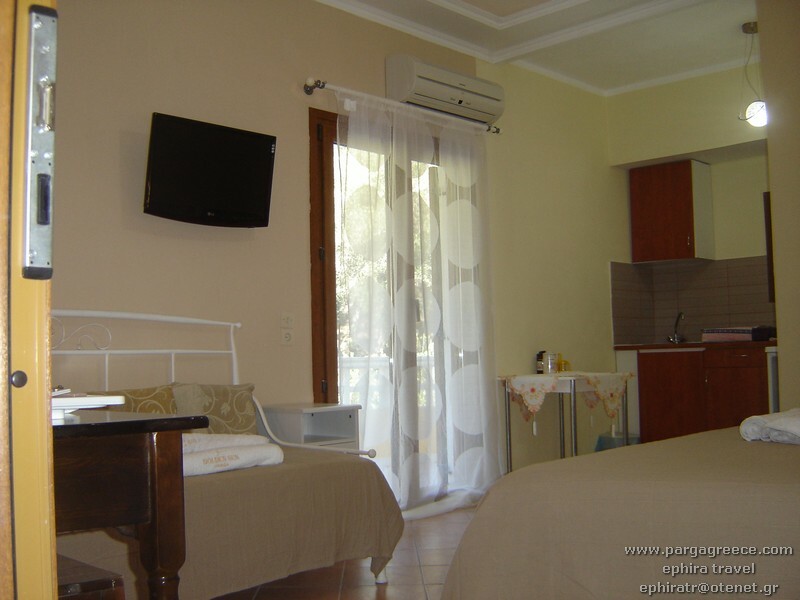 Distance from the center of Parga* 1200 m.
Distance from the beach 1200 m.
This small family and friendly resort with swimming pool,offer several mini apartments ( for 2-3 persons) with a seperate bedroom with double bed and single bed(if need it)and seperate kitchen(small apartments for 2/3 persons) and only two large family apartments (for families 3/4 persons) with a seperate bedroom with the double bed for the couple and seperate large kitchen with the 2 extra beds for 2 children. 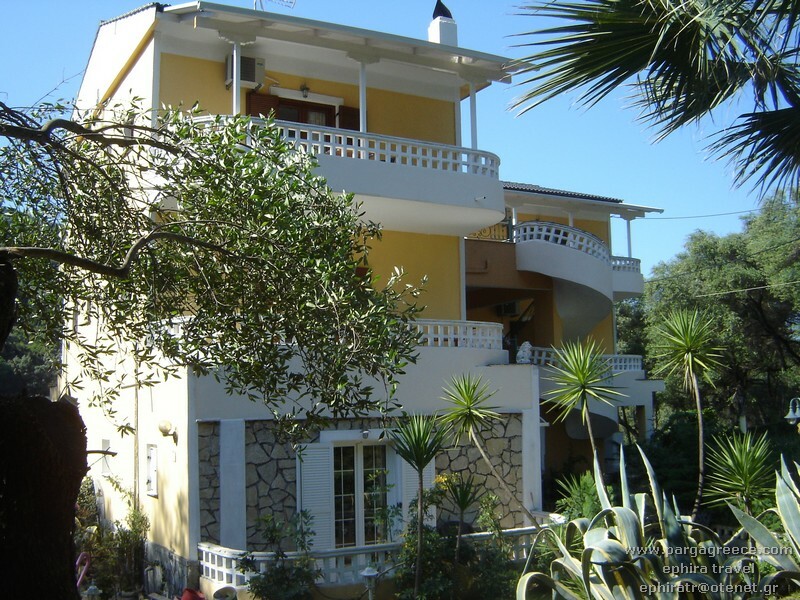 It is situated just outside of Parga and only 15 minutes walk from the centre of Parga and from the beaches (Piso Kryoneri and Kryoneri beach). 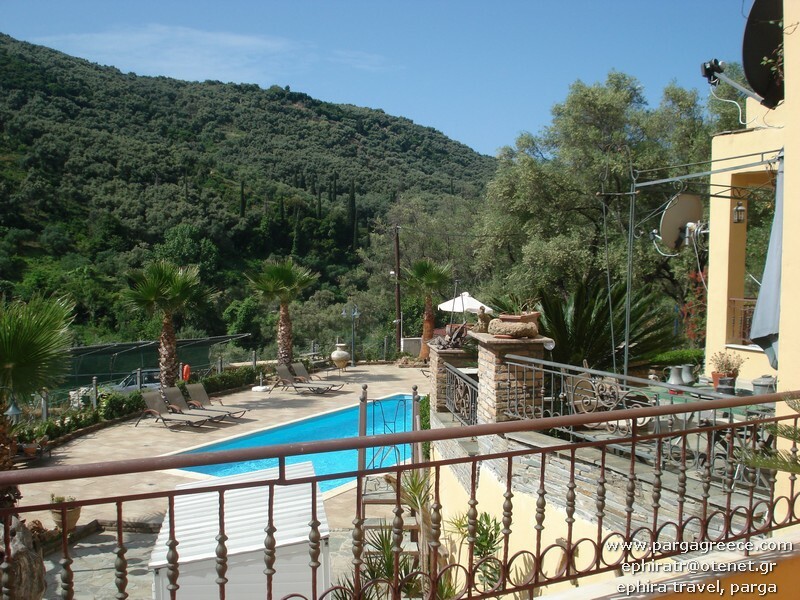 It is surrounded by a lush green garden and many olive trees. 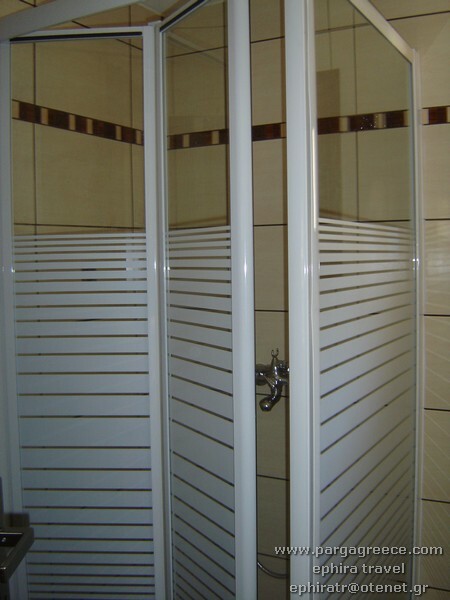 There are several small Studios/apartments ideal for 2/3 persons each and 2 large family apartments ideal for 4 persons each. All small Studios offer high standards and offer a separate bedroom with 2 beds, with separate kitchenette, private bathroom, television, safety box, air-conditioning ,large balconies or terraces.Extra bed if will be a triple is in same bedroom with the parents. Especially the 4 small Studios/apartments on the upper floor offer a large Patio where families can eat and talk outside. 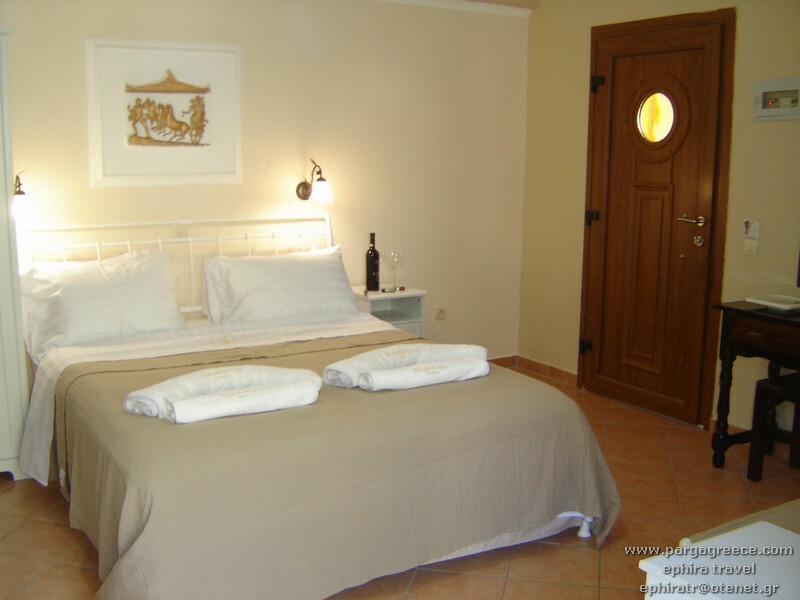 The other two large apartments with high standards, offer a separate bedroom with a separate living room with the two extra beds inside and a well furnished kitchen, private bathroom, television, safety box, air-conditioning, large balconies. 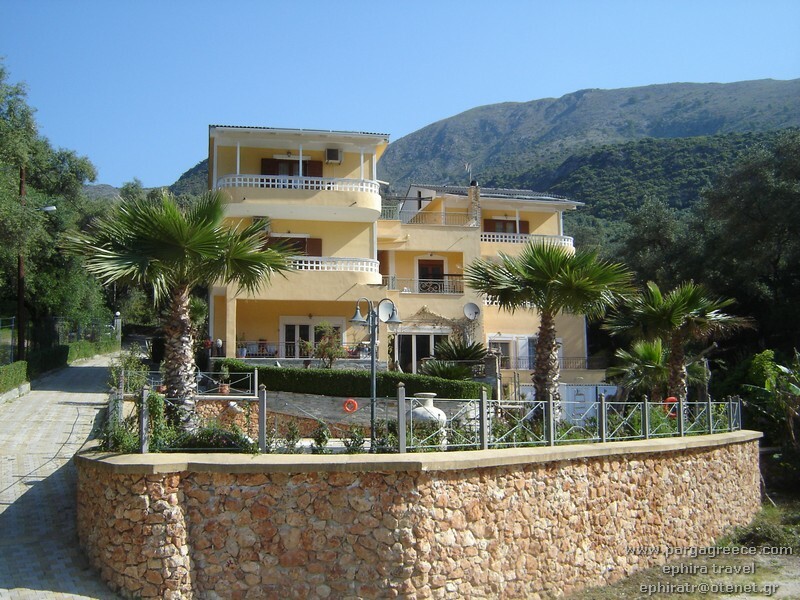 Also all Stusios/apartments offer large nice and beautiful gardens (with flowers and trees) and also a play ground for the children and private parking place. 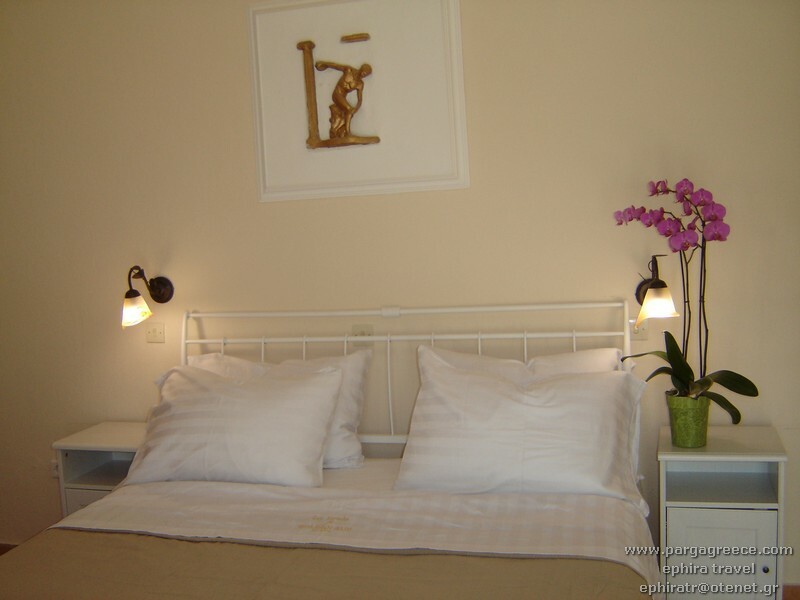 This is one of the few accommodation in Parga that all animals (pets, cats) are welcome. 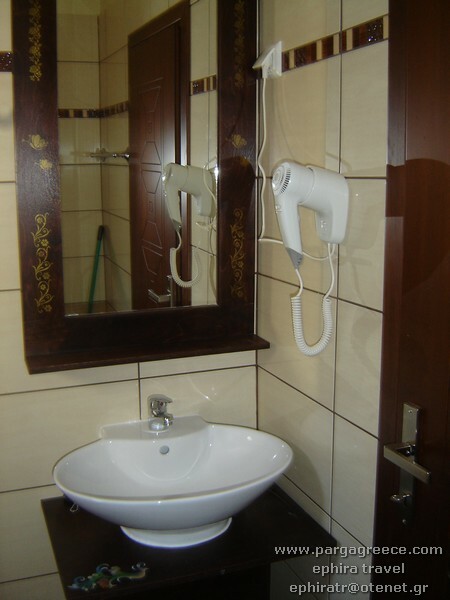 All apartments are Fully renovated a couple of years ago. There is also the Possibility for all Guests to have Room Service Breakfast till 11.00 and you can BOOK it Locally.